As a food-exporting nation, food availability is normally not a concern in most of Ukraine. However, recent political and economic constraints continue to threaten food security in affected areas. The Ukrainian economy is currently undergoing a crisis with the decline of GDP growth rates, decrease in foreign investment, increase in government debt and significant devaluation of its national currency—estimated as much as 50 percent. Consumer prices are growing at a faster pace than household incomes, limiting families’ purchasing power and general access to food. The Donetsk and Luhansk regions have witnessed intense fighting and spikes of violence. The breakdown in law and order and the loss of basic services are becoming more entrenched, while the economic and social fabric of Ukraine is becoming more fragile. WFP has been present in Ukraine since 2014. Under its Emergency Operation, WFP provides food assistance to internally displaced people, returnees, host families and those trapped in conflict hotspots in eastern Ukraine. This assistance comes in the form of standardized monthly food parcels of 1,600 kcal per person per day and e-cards of UAH 450 or $20 to cover the food needs of an individual for one month. In addition, WFP targets food-insecure individuals in formerly state-funded social institutions with monthly food rations of 2,100 kcal per person per day. The use of in-kind assistance or e-cards depends on where the populations live—areas of active conflict, areas retaken by the Government or Government-controlled areas—and what is available to them. 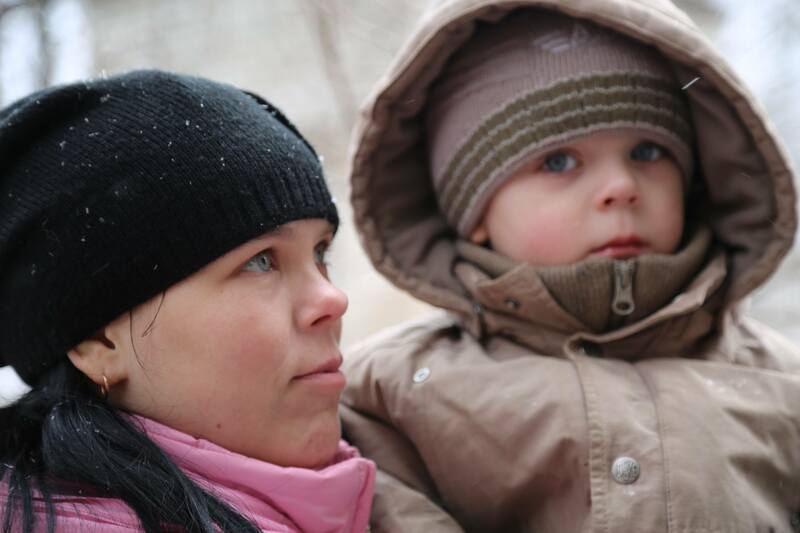 Since November 2014, WFP has provided food assistance to more than 641,000 people categorized as the most vulnerable populations in the Donetsk and Luhansk regions.